1900 The Wright brothers fly their first manned glider at Kitty Hawk, North Carolina to test their control system. It does not produce enough lift to make more than a handful of flights..
Pablo Picasso begins to show his paintings, Sigmund Freud writes The Interpretation of Dreams, and Max Planck formulates quantum theory. The US Navy commissions its first submarine, the USS Holland. 1901 The Wrights test their second glider at Kitty Hawk. and it also performs poorly. At home in Dayton, Ohio, they build a wind tunnel and conduct research on wing shapes. William McKinley is assassinated; Theodore Roosevelt becomes the US president. Charles W. Hart and Charles H. Parr introduce a gasoline-powered farm tractor. 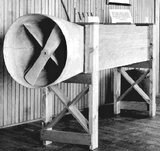 1902 The Wright build a third glider based on their wind tunnel tests and it flies well. They refine their control system at Kitty Hawk. Adolf Miethe invents the panchromatic process, leading to Autochrome, the first commercially sold color film. Stanford University and the University of Michigan play the first college bowl game, the Rose Bowl. 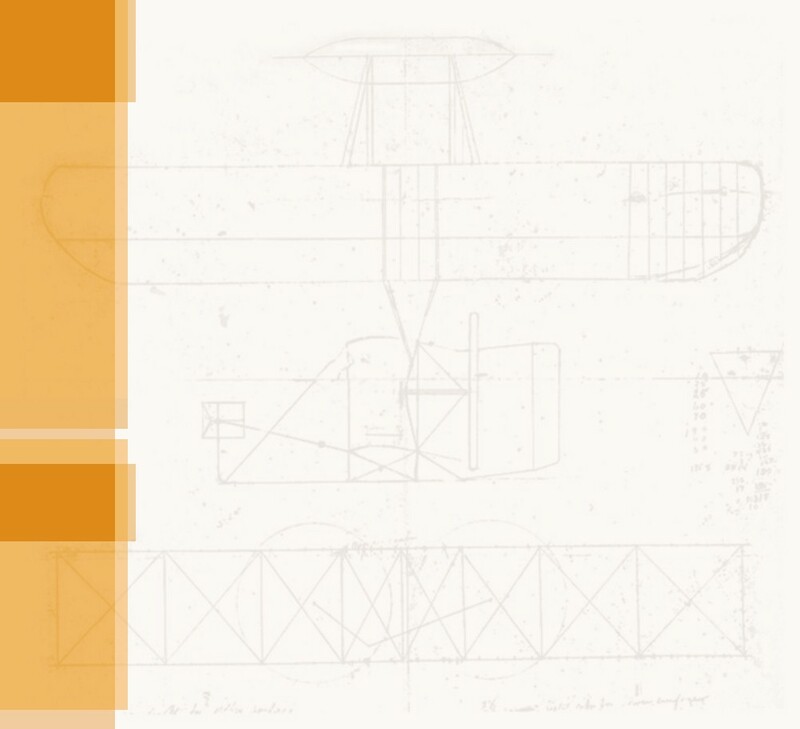 1903 The Wright brothers make the first controlled, sustained powered flight at Kitty Hawk. Samuel Langley of the Smithsonian Institution also tries to fly a manned version of his Aerodrome and fails. The first true motion picture, The Great Train Robbery, premiers. It is 12 minutes long. Crayola sells its first box of crayons and the Pittsburgh Pirates and the Boston Americans play the first World Series. 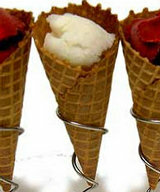 The first ice cream cones are sold at the St. Louis World's Fair; a judge in Newark, Rhode Island pronounces the first jail sentence for speeding in an automobile. Work on the Panama Canal begins. 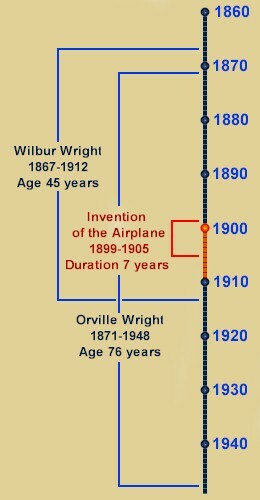 1905 The Wright brothers develop the first practical airplane and demonstrate it before a small audience. They offer their invention to the U.S. Army, but the Army is not interested. 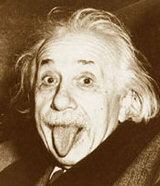 Albert Einstein publishes the Special Theory of Relativity. The Niagra Movement — later to become the NAACP — is founded. 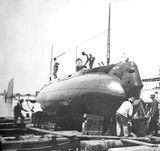 The Royal Navy lays the keel of the HMS Dreadnought whose turbine engines and powerful gun batteries revolutionize naval warfare. 1906 The U.S. Patent Office grants a patent to the Wright Brothers on their airplane control system. 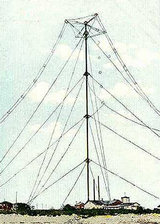 Reginald Fessenden makes the first radio broadcast of voice and music from Massachusetts. Upton Sinclair's novel The Jungle leads to the U.S. Pure Food and Drug Act and an earthquake destroys much of San Francisco, California. Alberto Santos Dumont makes the first powered flights in Europe. 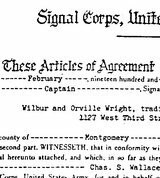 1907 The Wright Brothers procure contracts for the sale of airplanes from French investors and the U.S. Army, provided they can demonstrate their invention. 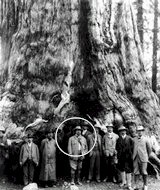 President Theodore Roosevelt speaks to the U.S. Congress about the "conservation of natural resources," marking the beginning of the conservation and environmental movements. Lee DeForest invents the triode, the beginning of electronics. 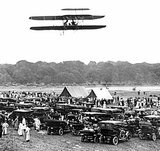 1908 The Wright brothers demonstrate a two-passenger airplane in Europe and America. 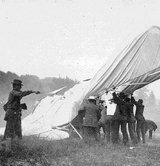 Orville crashes during a demonstration flight and is badly injured. His passenger, Lt. Thomas Selfridge, becomes the first person to die in an airplane crash. The Ford Motor Company produces the first "Model T" automobile. Oil is discovered in the Middle East and Lt. General Robert Baden-Powell writes a book, Scouting for Boys, that leads to the founding of the Boy Scouts. 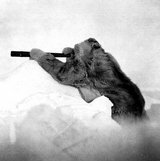 Leo Baekeland develops "Bakelight," the first widely-used plastic, Ernest Rutherford formulates the structure of the atom, and Richard Peary reaches the north pole. Louis Bleriot flies across the English Channel in a Bleriot XI.